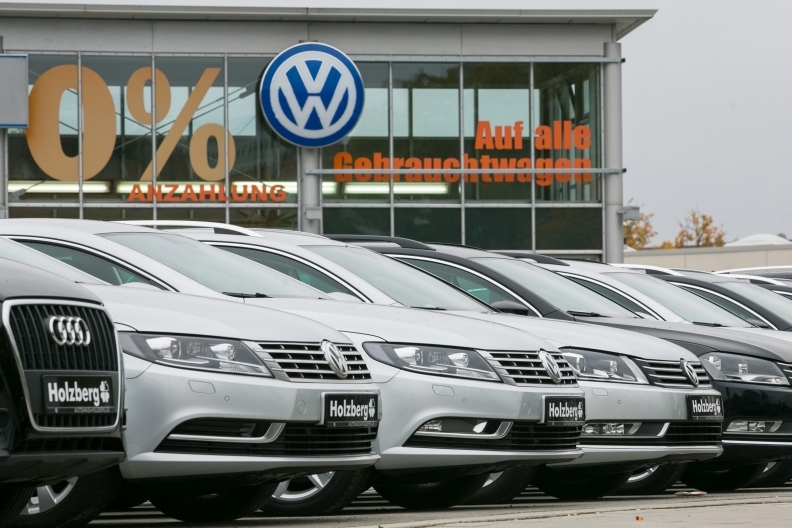 VW said EU customers are having their cars fixed so they don't need to be compensated. FRANKFURT -- Volkswagen has rejected suggestions it may have breached European Union consumer rules in connection with its emissions-cheating scandal. The company said it does not see the need to compensate affected car owners. EU Consumer Commissioner Vera Jourova said on Monday that the European Commission was assessing whether Volkswagen had violated two EU consumer directives. Several EU officials have also urged the VW to draw up a compensation scheme for affected drivers in Europe similar to the one it has agreed to with U.S. authorities. In a letter to Jourova dated Sept. 7 and seen by Reuters on Thursday, VW said a technical fix had been found and was already available for more than 50 percent of the affected vehicles across the 28 EU member states. "We therefore believe there is no room or need for any additional compensation," Volkswagen said in the letter signed by its head of public affairs, Thomas Steg. The company also said it did not believe it had breached the two regulations identified by Jourova. These are the Consumer Sales and Guarantees Directive -- which prohibits companies from touting exaggerated environmental claims in their sales pitches -- and the Unfair Commercial Practises Directive. VW said the technical fixes were being carried out entirely at the carmaker's expense. About 8.5 million of the 11 million VW Group models with rigged diesel engines were sold in Europe.